I finally discovered that when you buy mousse (for your hair, not moose, the Maine variety) price does matter. You do get what you pay for. I had used mousse by Aussie and I thought it worked fine. I was mistaken. Yesterday I was at Walgreen’s and bought Matrix Biolage mousse to try something new. I had no idea the impact this $14.99 can spewing white foam would have on my hair. My hair is naturally curly so it is usually easy to make curls with the application of mousse and a specific hair drying method (upside down). 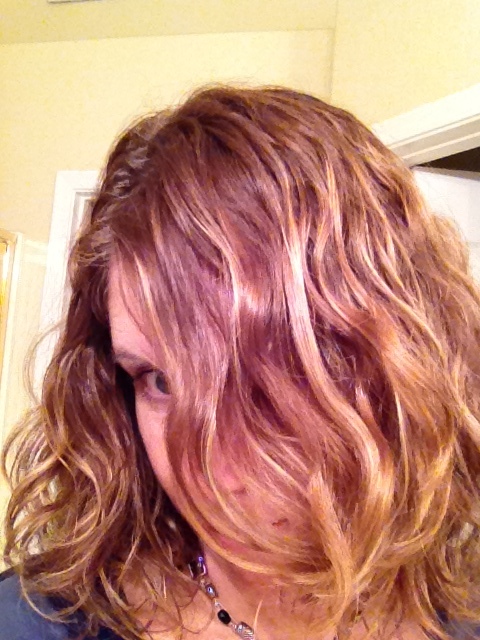 In just one use of Biolage I noticed a huge difference in the shininess, smooth curls and waves it created. I was amazed. My head is usually overcome with frizz, but no longer! This mousse has changed my life. I had no idea my hair could look so much better with no extra effort. The mousse does it all. The experience made me question, “When did I start using cheap mousse?”. Now that I know what I know, I won’t ever use cheap mousse again. I don’t care how many signs are displayed for discounts and half-price, I will pay a premium for this product. It just isn’t worth it to use something inferior. Funny how something so simple and relatively inexpensive can have such a huge impact on my daily life. I was lost, now I am found. Actually, it is the phenomenal mousse that was found. What simple products make your daily life easier? Interesting that you used the same mousse that I do -Aussie. Now I’m wondering if I’d have better results by using a more expensive brand of mousse as well. You’ve given me something to think about and try out!